Probably shouldn’t have eaten that ergot. New York Review of Books has a great overview of the latest theories about microbes and the origins of life (paywall). The verdict might still be out on the utility of big data, but it the meantime it can provide us with a little entertainment. Check out some of the highlights from Google’s recently released aggregate search data (down to the minute). In the morning, searches for peak for “news” and “weather”; in the evening, it’s all “Kardashians” and “how to roll a joint.” Thanks Google! 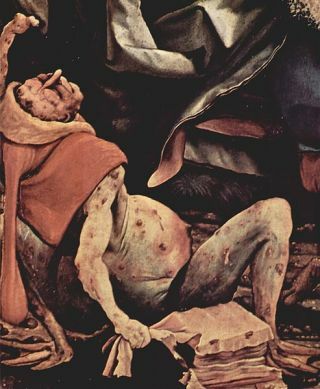 Read a short history of St. Anthony’s Fire, the mysterious medieval affliction that would, without warning, would cause searing pain and gangrene in your limbs (until they fell off). To be ahistorical, St. Anthony’s Fire was most likely caused by ergot, a fungus that grows on bad wheat. Gives eating gluten-free a whole new meaning. Autobiographical notes on life as a famous librarian. The Pulitzer Prize notwithstanding, futurist Stewart Brand argues that, when it comes to climate change and the environment, extinction isn’t what we should be worrying about. Right next to MIT, and near huge new complexes by Novartis, Google, Microsoft, and Twitter, is Area Four: the poorest neighborhood in Cambridge, Mass. Mike Konczal, aka Rortybomb, does a superb job of demolishing the myths and errors of the robotic “post-work” future. This entry was posted in Links and tagged bruno latour, cambridge mass, google, librarians, links, stewart brand on July 6, 2015 by americanscience.